8am - Readers are wondering just what it takes for me to do in order to get on the Jojoba Hills RV Resort wait list? You have to pay a $33,000 deposit to move into the place? Hard to believe! Or you're talking about the trailer? 1. Pay a $100 nonrefundable administration fee. 2. Pay a $1,000 deposit on my membership. 3. Provide proof of ownership of a self-contained RV. 4. Provide age verification [copy of driver's license]. That's it! In a few minutes I am going to post your comments and my reply on my blog to let readers understand where I am to get on the wait list. 8:15am - When I am at the top of the wait list and get my offer to become a member of the Jojoba Hills RV Resort, I'll pay the membership cost of $30,193.18 and I will be in!! Pay a $100 nonrefundable administration fee. Pay a $1,000 deposit on my membership. Provide proof of ownership of a self-contained RV [Twayler who cost is $32,054]. Provide age verification [copy of driver's license]. Pay a one time membership of $30,193.18 to become a Jojobian. Move Twayler to my Jojoba Hills site. Man-O-Man! This is sooooo exciting for everyone on the Team! 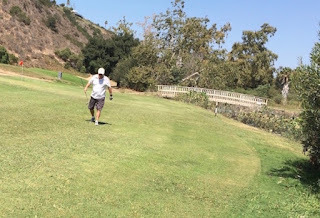 John, Dave and myself went to do a round of golf at Tecolote Canyon. Wow! Remember when it looked like there was NO MORE golf in my future? That goes to show. Our future. Our fate. Is mysterious and unknown. Golf partner and excellent friend, John. Reader Granbo commented on an RV park lead to us. Diamond manager Amy phoned. 11pm - To move now, or not to move now? The question actually is, whether to stay at Guava Gardens. In my very comfortable and easy living apartment. 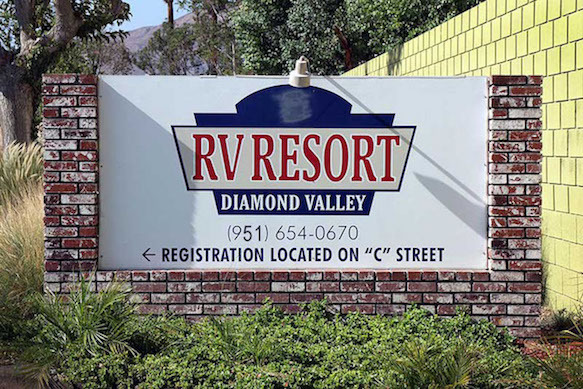 Or move to Diamond Valley RV Park for several months. And then move again, to Jojoba Hills. Good friend Pete, and Reader Granbo, turned me on to this question. And it a very good question too! To 11:50pm. No more of this bedtime at 1am, 2am, 3am or ? And......I am sticking with it this time! Thanks for the info George! For that kind of money I sure hope they overlook the 6 month rule! Jojoba Hills does hold to that 6 month rule 😎. so you are kind of "buying" a site for $30,000. Does that eliminate monthly fees? No. It does not eliminate a monthly grounds maintenance fee which is ±$245. "...for active adult (55+) RVers and is not to be considered a year-round residence." "...Member of Jojoba Hills you own no property in the resort..."
"...monthly fee includes cable, water, trash, in park phone service and sewer. You are responsible for your electric and propane usage." I don't think it would be practical for me. I still don't understand what you are getting for the $33,000 membership? It's really great! Have you looked at the website. Maybe you might take a look-see? This is a co-op park. What he is getting is a "lease" lot (does not own land). Also an annual maintainence fee is charged. This put a whole different perspective to the Jojoba investment. I hope you get first in the waiting list quite soon, George! It also would be great if you share with us the floor plan of your new home! Pete, I've looked into something similar in Florida. 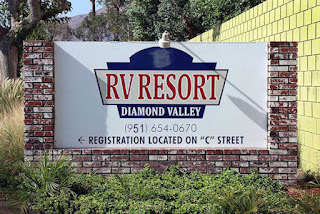 However, the RV resort is not a co-op. The reason I bring up Florida is because that state has similar regulations as California regarding year round RV camping/living. Certain, shall I say, acrobatics need to be completed each year to technically satisfy the legality of those Florida regulations. Therefore, does the fact that Jojoba RV exists as a co-op excludes it from having to satisfy the requirements of the RV camping regulations in California? Your living situation with a co-op sounds better than what my husband and I have been examining in Florida. I remember happily, our times together in Mexico 😎. My excellent friend, musician, composer, lyricist and especially, ENTERTAINER! is wonderfully correct 😍. See you soon, Pete & Frederika!! All I can say is, when are the other Rv parks that serve seniors going to adopt this approach and life style to there rv park? It's time for a paradigm shift in thinking about services offered to seniors in most rv parks -- well done George in finding this park and for Jojoba listening to providing what most seniors really want in retirement. (wood and metal shops and a pottery studio -- somewhere to pay a musical instrument -- Wow, Wow and Wow they listened! Now I can see why George is so excited -- if there was a rv park like this close to where I live I would crawl there like a man lost in the windy dusty sand storms of the desert. Starving and thirsty I would keep pressing on to reach Jojoba where my thirst and hunger for community, creativity and art would be satisfied. There was no 'they', as in some outside entity who catered to seniors - Jojoba Hills was created 26 years ago by the people who would live here...some are still here and held in high esteem by those of us who are reaping the benefit of their vision and sweat equity. We refer to them as 'Founders', and we are so grateful for them. No 'them' will ever create something like this - only another dedicated group of 'Founders' who are willing to fight their way through all of the planning, government permitting and oversight, bone-breaking hard physical labor (there was only one contractor on the job, the rest was done by the Founders - a remarkable story...). Thanks for the acknowledgement George! However, personally why move twice? Stay in San Diego, put the new team member in storage and wait for your name to be called. Mean while kick back, smile and enjoy your accomplishment! Sounds like you make a great deal George! Yes!!! Both you and my very good friend Pete Olson, gave me the same suggestion.